Equipping Sessions are opportunities to help our church family grow in their faith and lives. They can be comprised of several types of teachings, both biblical and practical to help empower us to walk out our destiny in God. These sessions are free and are taught by our pastors, church leaders and friends of our ministry. Each Friday begins with corporate worship at 7:30pm in the Main Auditorium before breaking off into our separate classes. 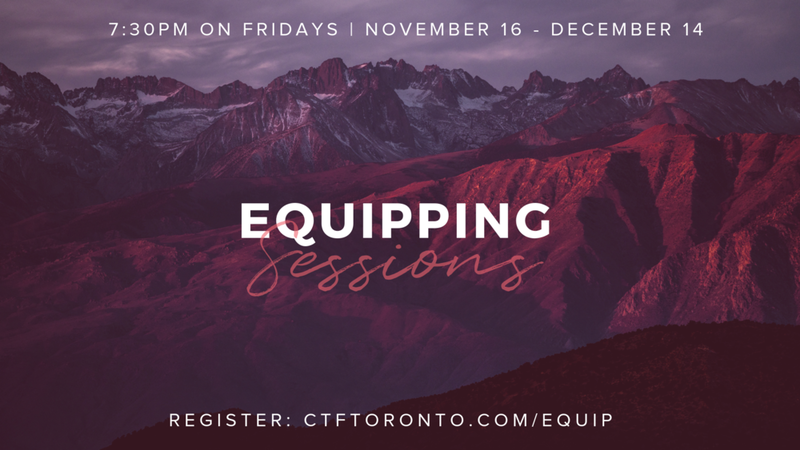 These Equipping sessions are exciting evenings for all of us to learn more about God and His plans to bless us in our relationship with Him. These are extended times of learning, asking questions and receiving prayer or impartation for your next steps. Everyone is encouraged to come grow in God! The 7 Mountains ministry was a revelation of how we can have impact and influence the different spheres of society through our faith. It gives us practical and biblical strategies for identifying which mountain we are called to serve in and how we can bring change to our surroundings. These sessions will he facilitated by people that are called to each of these mountains, people that have walked the journey of identification of their sphere of influence. They will provide strategies for landing in your mountain of service, their challenges, their victories, steps to success and bless you with impartation in each specific calling. It is recommended that you attend the same topic session each week of the course.